Perhaps you are on the line, trying to decide whether or not renting your house is a good idea. Therefore, the first question you need to ask yourself before “how to rent my house out” is “should I rent my house out?” If you’re choosing between renting your house vs. selling it, I’d like to make the case why renting out your house is the best decision. After all, the benefits of renting out a house are numerous. Your primary home, while a necessity in life, is not typically an asset or investment. An asset is something that makes you money, where a liability is something that costs you money each month. By renting out your home you are able to transform your liability into an asset. 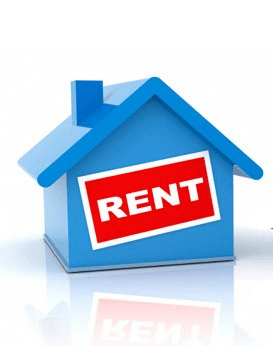 By renting your house, you are able to continue to hold onto your house while the tenant’s monthly rent pays down your mortgage each month. During this time, property values (hopefully) will climb and build wealth for your future. You may also begin to experience additional monthly cash flow if you can rent your house out for more than what your monthly expenses are, which should be the goal for all potential landlords. Renting your house out may also help start your investment career with no additional costs – since you already own the home. This could be a first step in a tried-and-true method for building wealth. Many real estate investors begin this way – by renting out their homes as they upgrade to bigger or better properties throughout their life. This may also help fund your retirement, as you may end up owning multiple properties “free and clear” by the time you are ready to retire, providing monthly income or a lump sum if you sell. Finally, by renting out your house you retain the possibility of returning to that home. This is especially helpful if you’ve been forced to move quickly because of a temporary job relocation. What Condition Do You Want Your House In? There is no end to the amount of improving you can do to your house before renting it out. The problem becomes learning when to stop. When is good enough, good enough? A house should be clean, empty (unless you are offering it “furnished” which is uncommon) and free from any major repairs at the time the tenant moves in. Be sure everything is up to code, to the best of your knowledge. Have a professional carpet cleaner clean the carpets before showing the property. Remember, the home does not need to be as fancy as you would want it to be if you were living there. Look around at other rentals in your area (via driving around or pictures online) and try to see what the typical quality is. Tenants will generally never take as good of care of your house as you do – so don’t spend too much time or money making unnecessary upgrades that will only be ignored or broken. If you have questions about a certain upgrade, please contact Shawn Penoyer to get help!